This pillow protector is a wise investment! In fact, it enhances the pillows we purchased by adding an additional layer of support. There are not any saggy corners, or extra material flaps hanging around either. This protector fits like a glove, and will help ensure our investment lasts. We highly recommend this product. 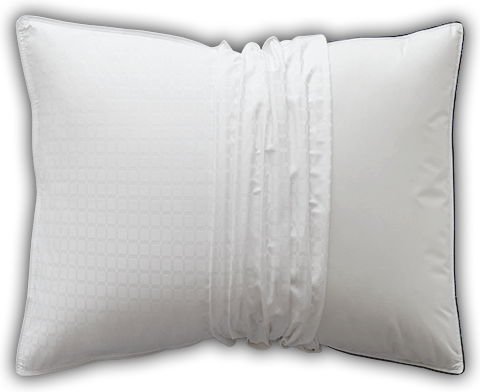 Extend the life of your pillows and keep them cleaner longer with our Basic Pillow Protector. The 300 thread count 100% cotton cover with woven box pattern is an easy and effective way to protect your investment. When it’s time to refresh, simply unzip the cover and it’s ready to toss in the wash.